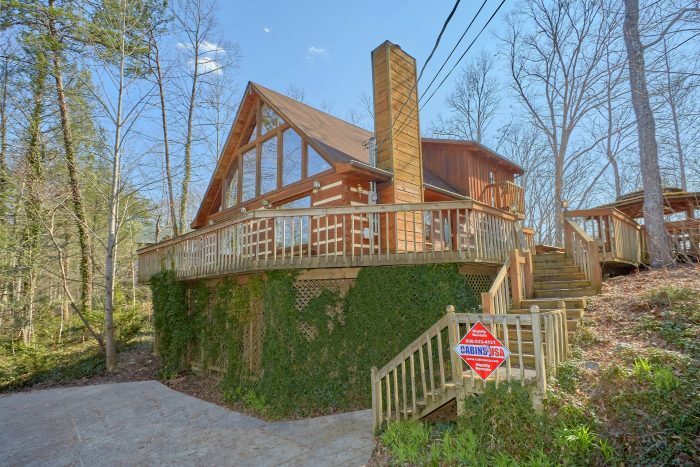 Welcome to "Hearts Desire," a beautiful 5 bedroom cabin in Gatlinburg that's located only a short drive from the East Parkway. 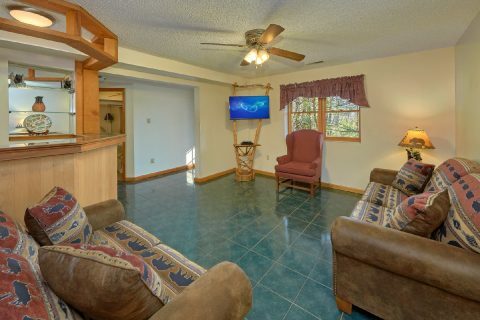 From this cabin's prime location in town, guests will enjoy staying less than 3 miles from the heart of Downtown Gatlinburg. 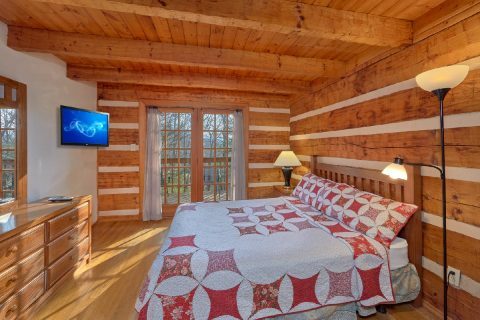 Not only is this cabin ideal for enjoying fun attractions like Anakeesta and Ripley's Aquarium of the Smokies, but it also keeps you close to several national park entrances including the Sugarlands Entrance and the Greenbrier Entrance. 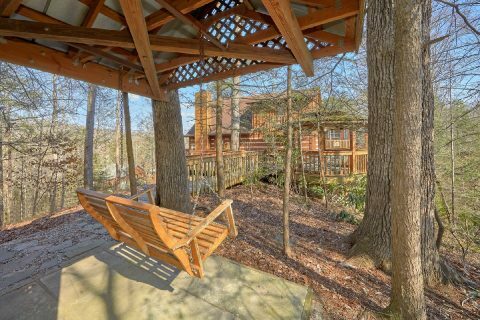 Additionally, the famous Roaring Fork Motor Trail is only a short drive from this rental. 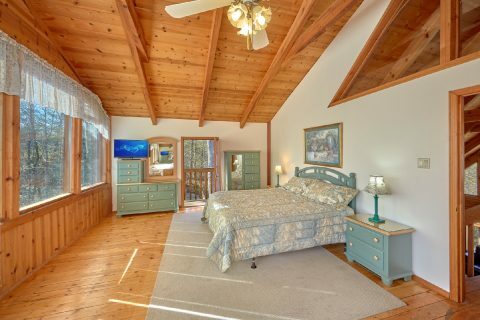 This spacious 5 bedroom cabin can sleep up to 14 guests in comfort, so it's ideal for a family or group vacation. 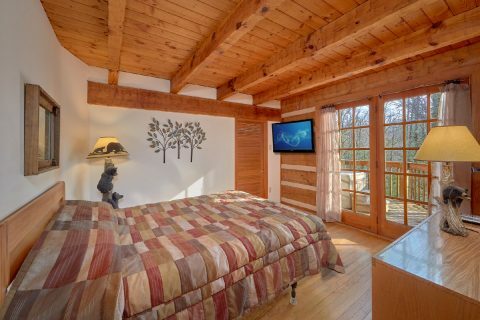 Better yet, this pet friendly cabin rental allows dogs, so you can even bring your beloved pet along on your vacation! 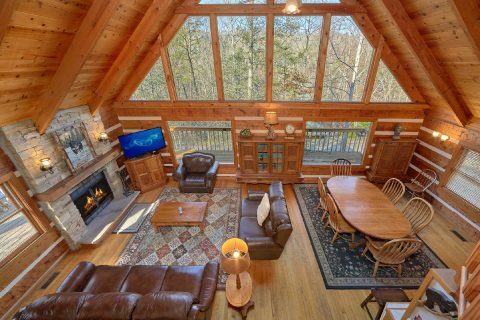 After a great day spent exploring Downtown Gatlinburg and the Great Smoky Mountains National Park, you'll love returning to this cozy cabin that's only a short drive from all the action. 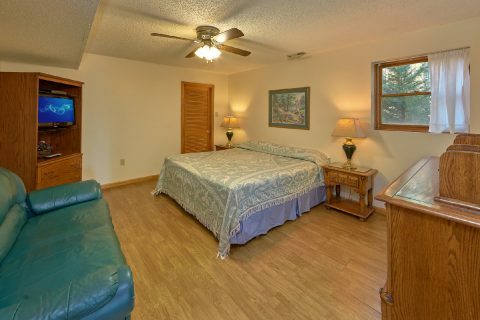 As soon as you step into your cabin's main living area, you'll be glad you reserved such a quality place for your stay. 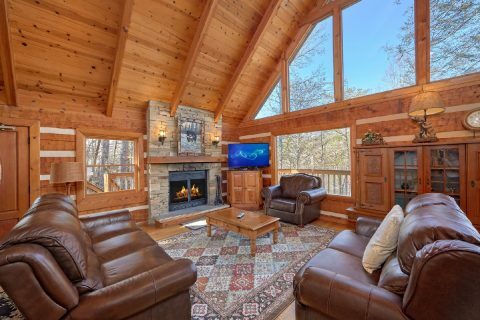 In the living room, you can unwind by the wood-burning fireplace while you enjoy your cabin's television. 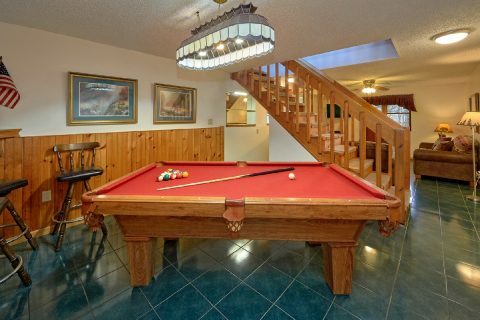 For some in-cabin entertainment, this cabin boasts a game room with a pool table for hours of fun. 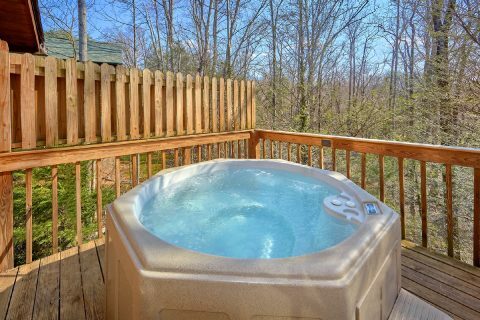 For some relaxation surrounded by nature, step outside to your cabin's hot tub to take a dip in the steamy waters. 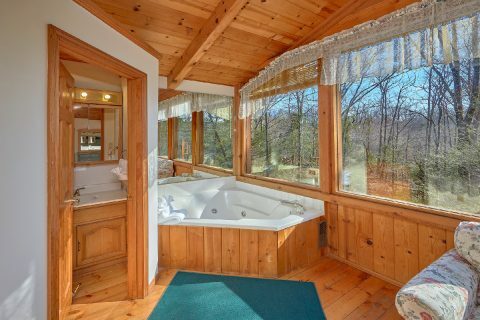 There's also a jacuzzi tub in your cabin so you can enjoy a soothing dip in privacy in the upstairs king bedroom. 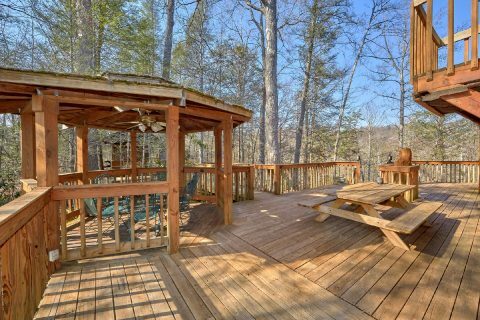 Outside on the large, wrap around deck, you can enjoy this cabin's forested, semi-secluded setting. 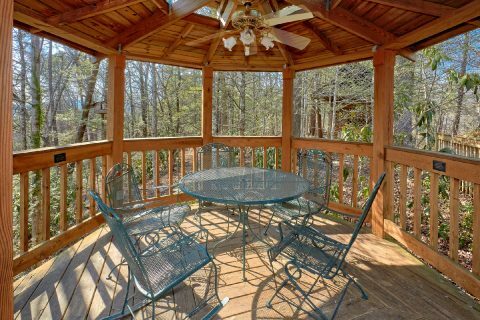 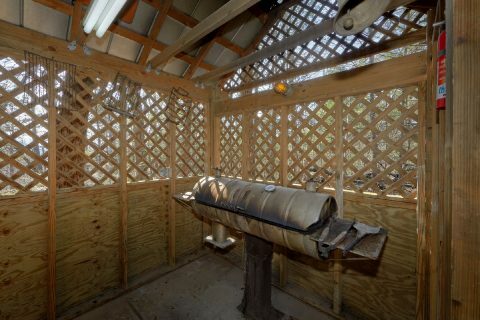 There's even a gazebo with patio chairs and a table for dining in the great outdoors. 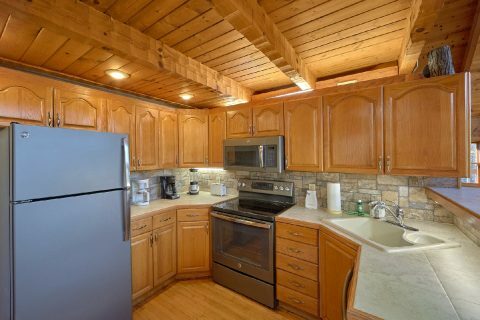 A short distance from the deck, there's a detached smokehouse, grilling area that's ideal for smoking meats and making delicious barbecue. 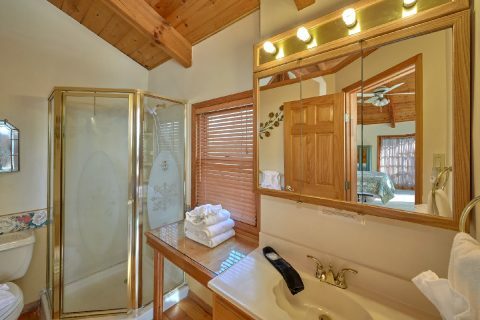 Better yet, this 5 bedroom cabin comes complete with practical features that can make your stay simple and carefree. 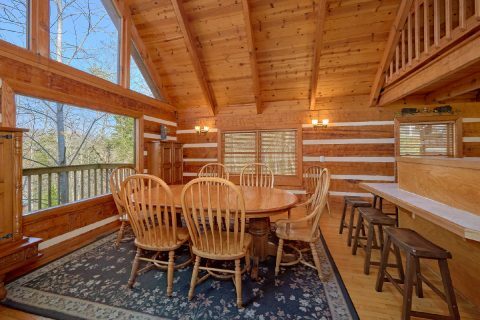 With your cabin's full kitchen and charcoal grill, you can make delicious, cost-effective meals during your vacation. 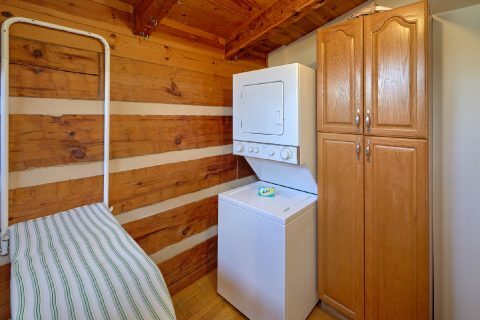 Additionally, "Hearts Desire" provides WiFi Internet and a washer & dryer to use during your stay. 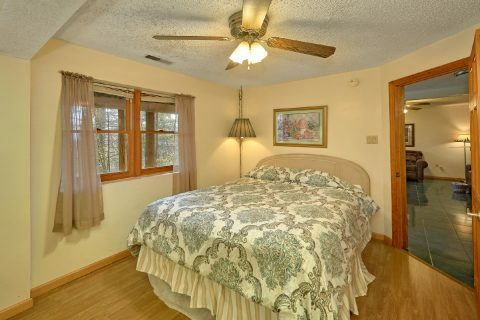 With 2 bedrooms with king beds, 3 bedrooms with queen beds, and 2 queen sleeper sofas, this spacious cabin can easily accommodate up to 14 guests. 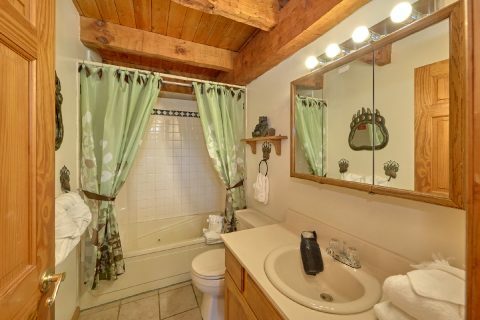 Each bedroom comes with a television and the upstairs king bedroom boasts a jacuzzi tub and a private balcony. Book "Hearts Desire" today with Cabins USA Gatlinburg to save 15% on your cabin on Gatlinburg's East Parkway! 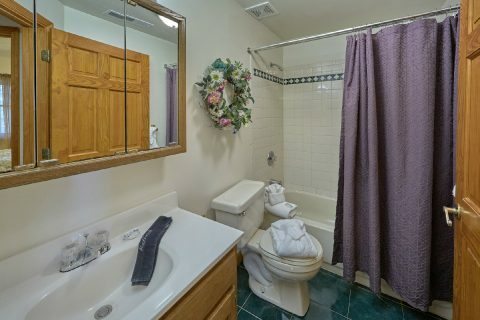 Simply check this rental's availability to see how much you can save!